The Choir of Pilgrim Uniting Church takes part in the 11am Sunday Services at Pilgrim. The Choir has a proud history of performing liturgical music to a high standard, and sacred music is an integral part of the 11am services. 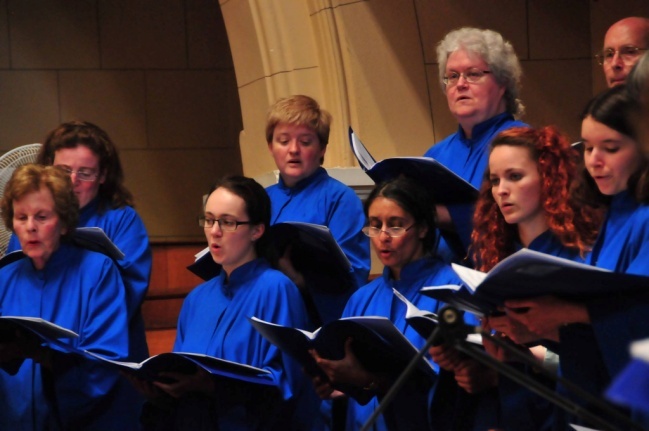 The Choir performs masses, anthems and motets selected from the rich tradition of serious sacred music, and chants the set psalm every Sunday. Repertoire ranges from the motet 'O quam gloriosum' by Tomás Luis de Victoria to Morten Lauridsen's 'O nata lux' and Bob Chilcott's 'God so loved the world', via J.S. Bach's 'O Jesu Christ, meins Lebens Licht', Felix Mendelssohn's 'Verleih uns Frieden' and Ralph Vaughan Williams' 'Lord, thou hast been our refuge', and includes old favourites such as John Ireland's 'Greater love hath no man' and Charles Wood's 'O Thou, the central orb'. The choice of repertoire is strongly driven by the ecclesiastical season and the lectionary readings of each week. The Choir also performs a wide range of masses, including Andrea Gabrieli's Missa Brevis in F, Hans Leo Hassler's Missa super Dixit Maria, a number of Mozart masses, Tertius Noble's Communion Service in B minor, and William Lloyd Webber's Missa Princeps Pacis. The Choir also performs works such as Herbert Howells' Nunc Dimittis (Collegium Regale), the Festival Te Deum and Jubilate by Benjamin Britten, or Jean Langlais' Messe Solennelle on special occasions. On Christmas Eve the Choir presents a traditional Service of Lessons and Carols. 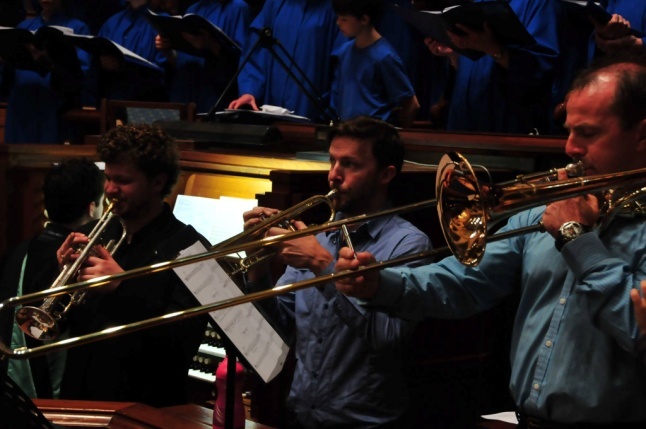 The Easter Day 11am service also features a Mozart Mass complete with chamber orchestra. In addition, the Choir aims to perform a number of orchestral services per year, for example presenting Francesco Durante's Magnificat on the third Sunday in Advent in 2014. 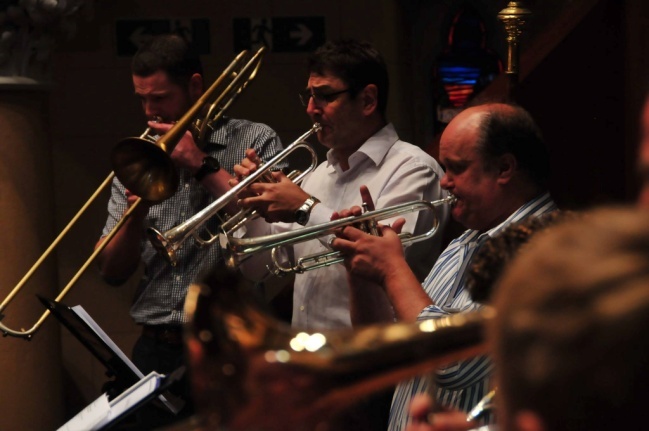 Brass choirs and percussion for Easter and Christmas Day also enhance the music on these festive occasions. Pilgrim Church also hosts world-class visiting organists who usually participate in the 11am service before performing a recital in the afternoon. 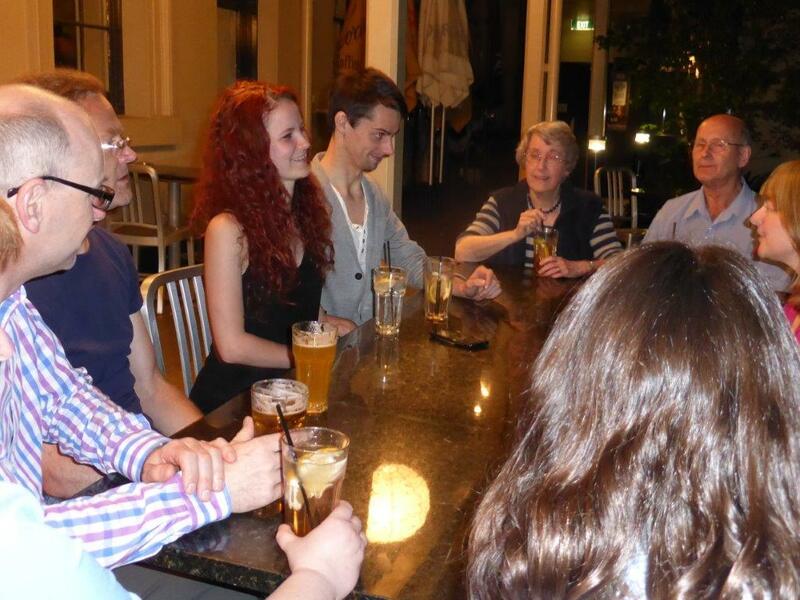 For these occasions the Choir normally rehearses and performs more ambitious works than usual. Past visitors have included such international luminaries as John Scott (formerly of St Paul's Cathedral, London, and now St Thomas', New York), Simon Preston (formerly of Westminster Abbey), and Daniel Roth (organiste titulaire of Saint-Sulpice, Paris). 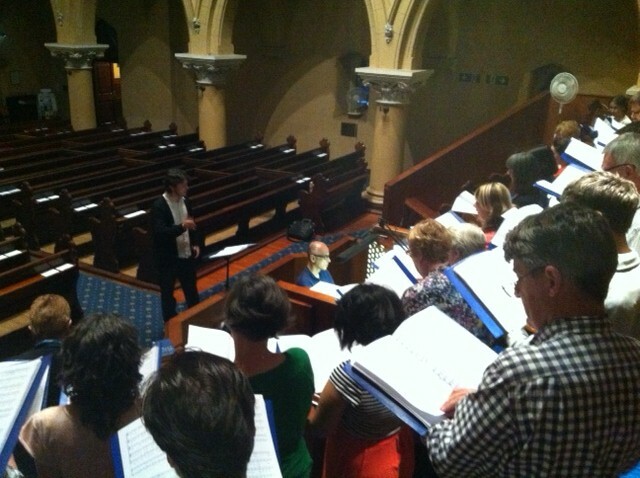 The Choir rehearsing with guest organist from Sydney, David Drury. Rehearsals take place in the church every Thursday evening starting at 7:30pm and usually finishing by 9pm. In addition we rehearse in the choir vestry from 10:30am every Sunday before the 11am service. The choir is in recess during January. A number of scholarships are available for talented young choristers. In this way Pilgrim Church is able to support young musicians in their studies, as well as benefit from having fine young musicians within the ranks of the Choir. 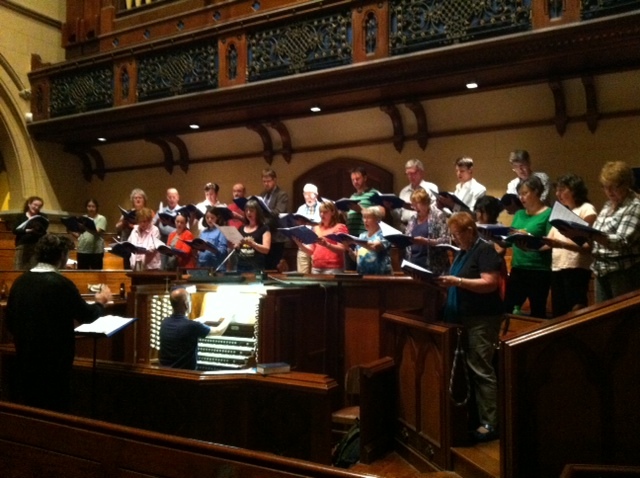 Scholarship holders are often called upon to sing the solos in the works the Choir performs. They thus gain important solo experience, in addition to valuable sight-reading training from the rapid turnover of works. 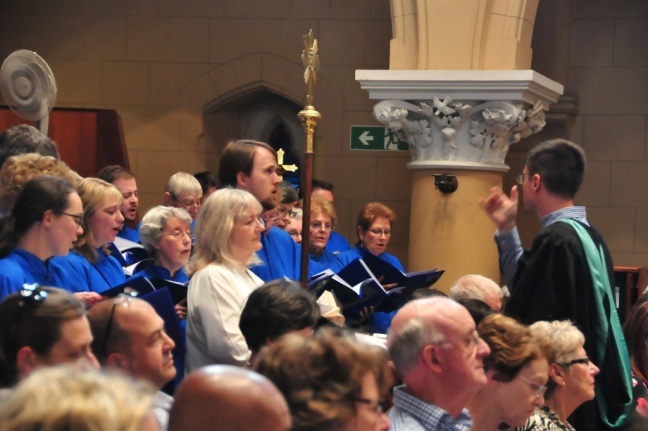 The Choir includes professional singers, vocal students and experienced choristers, and forms a vibrant community within Pilgrim Church. Though we take our music very seriously, we believe that hard work should be enjoyable rather than onerous. 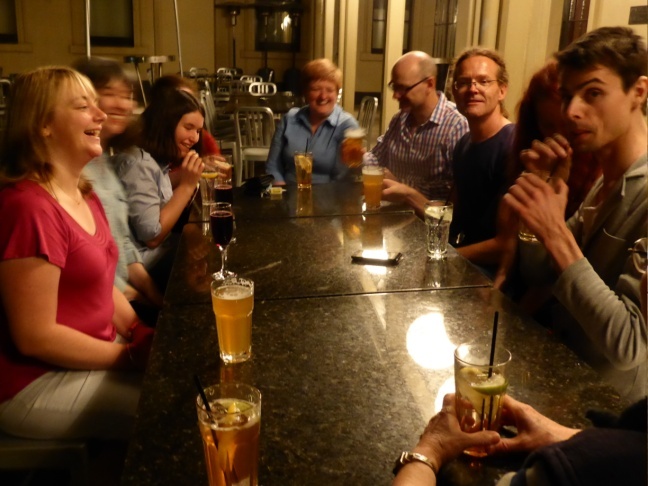 Thursday night rehearsals nearly always finish in the pub next-door with a few drinks to soothe the vocal cords. For more information please contact the Choir Director, Peter Kelsall 04 09 092 593. See our Facebook Page Organ and Choral Music at Pilgrim. English Cathedrals Tour. Follow us . . .